To set up a landing page, go to Pages > Add New. Title it “Landing Page” or whatever you’d like. Add your picture and/or text in the body. 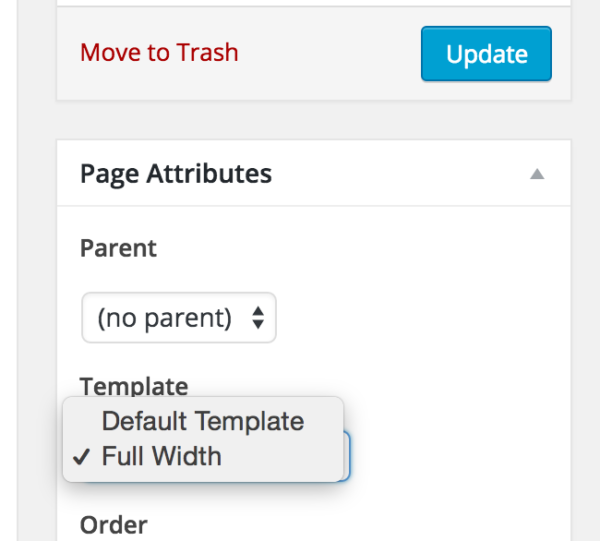 Next, select full width under the template option which is right below the blue update button. Now, click Update. 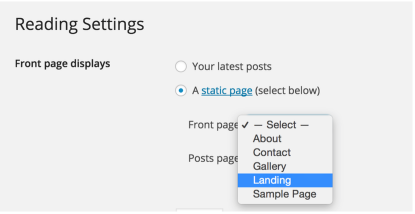 To set your landing page as your home page, go to Settings > Reading. Select the front page to display a static page and then select your landing page. 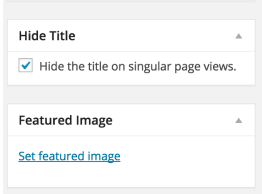 To not have your page title display on your landing page, install “Hide Title” widget. Activate it. Now, when you’re editing your landing page, you’ll see a box above Featured Image where you click to hide the title. Download the plug-in “Meta Slider.” Activate it. 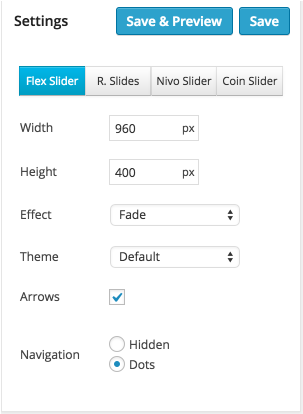 Go to your Dashboard > Meta Slider and create your slider. I recommend these settings, but do as you wish! 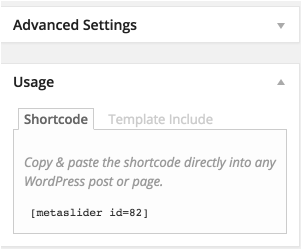 Once your slider is created, copy the short code it gives you. Paste that short code on your to your Landing Page.